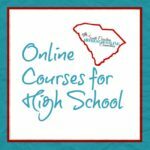 Here in South Carolina, parents can choose between a number of educational options for whatever is in the best interest of the child. We are very proud of these options. 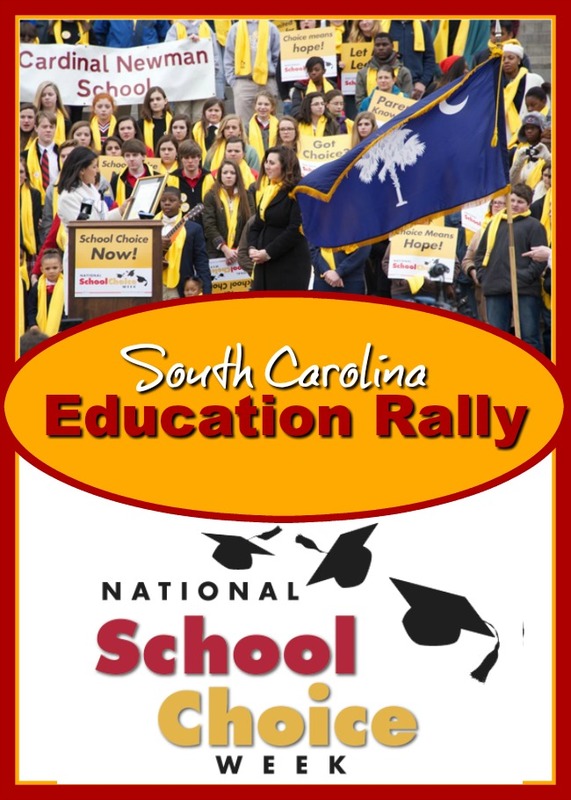 The School Choice Rally is a great opportunity to come celebrate and represent the choices we have as homeschoolers. 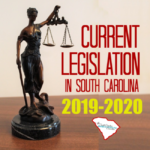 Empower SC has more information about the various educational options and resources. You can read stories of educational success and innovation…plus submit your story, too! Traditional Brick and Mortar Public schools are divided into 81 school districts in South Carolina. Even these have a variety of options, where students might earn dual enrollment credits from 2 different public high schools, dual enrollment credits in high school and college or go to another school of choice elsewhere in the school district. Magnet Schools are public funded schools that offer a variety of specialized courses to attract diverse students across the normal school’s zoning boundaries–but still within the district. Magnet school programs focus studies on a theme: STEM, Arts, or vocational/career. South Carolina also has 2 residential public high schools: Governor’s School for Science & Math and the Governor’s School for Arts & Humanities. Charter Schools are public funded schools independently managed without zoning limitations of the school districts. Charter schools have the flexibility to choose their own curriculum. 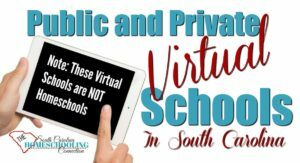 Virtual Schools are another great educational option for over 8,000 students in South Carolina. There are a number of public funded and also private virtual schools to choose from. VirualSC is a supplemental virual program for credit recovery and accelerated learning for public, private and homeschool students. Private Schools may be traditional or online, but are privately funded with tuition fees. Private schools may have a religious mission statement and freedom to choose their curriculum. South Carolina has over 400 private schools listed at South Carolina Independent Schools Association (SCISA). Home Schools offer parents the flexibility to DIY their child’s education from scratch. 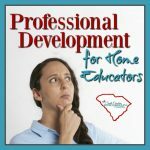 The SC Homeschooling Connection (this blog) aims to help bring together all the resources about how to homeschool in South Carolina. 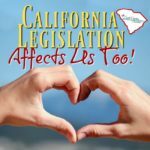 Accountability Associations, Support Groups, Resource Centers, Cooperative Learning, legislative measures and more! 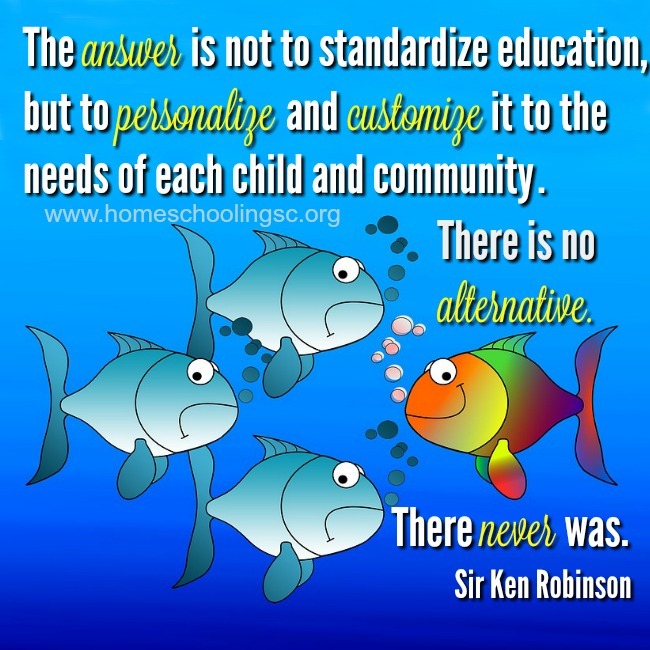 Click here to get started homeschooling. Join other students, parents, teachers and school leaders from across South Carolina to celebrate National School Choice Week 2018 and all of the growing forms of education choice in the Palmetto State! Last year’s crowd was AWESOME…and this year, we’re looking to get even bigger! We’ll have music, dance teams and more…so don’t miss this high energy chance to lend your voice for school choice. This year’s event will meet at the Metropolitan Convention Center then march together to the State House. RSVP with REACH to connect other local homeschoolers at the rally. 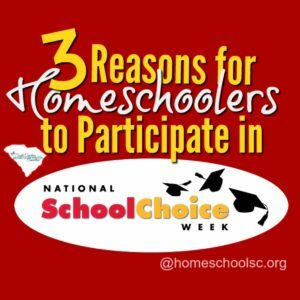 Click here to read more about *why* homeschoolers should participate in School Choice Week.